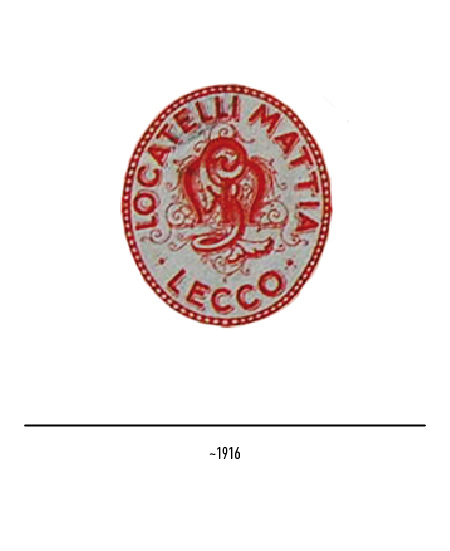 Mattia Locatelli opened his dairy factory at Lecco in the Province of Como in the early years of the twentieth century. 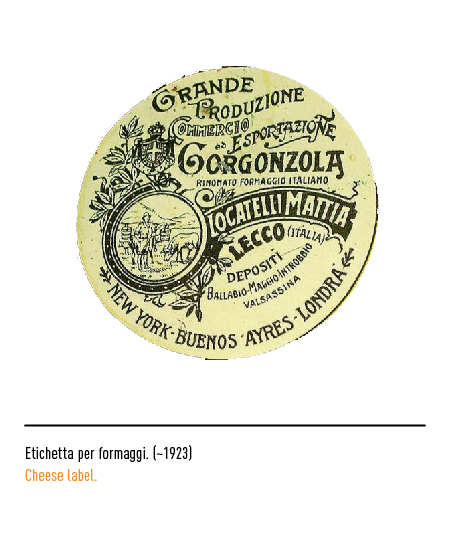 The firm quickly grew becoming renowned for its Gorgonzola and Reggiano cheeses. 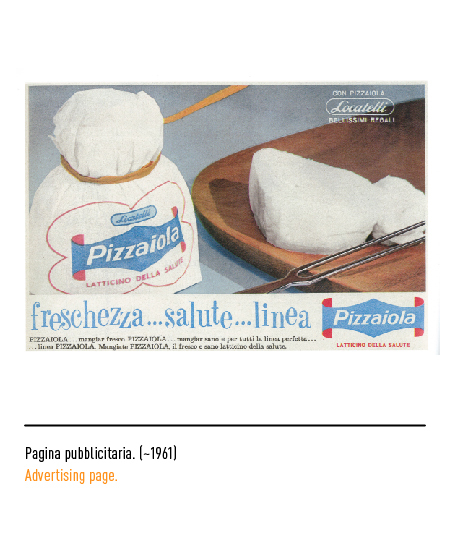 It is over fifty years now that it has been a leading concern in the food sector both in Italy and abroad. 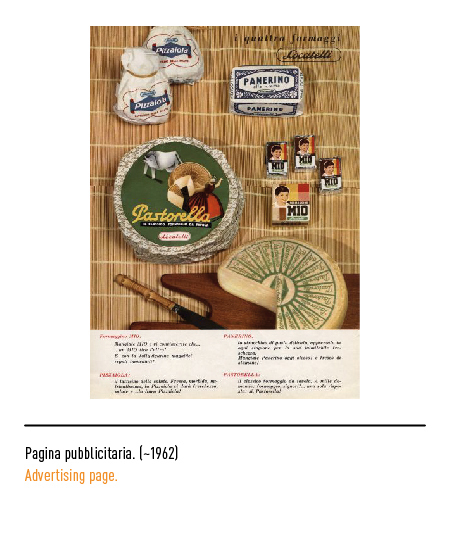 In the early sixties the firm introduced himself to the consumer through a reassuring calligraphic logotype, inscribed in a rectangular frame with rounded corners. 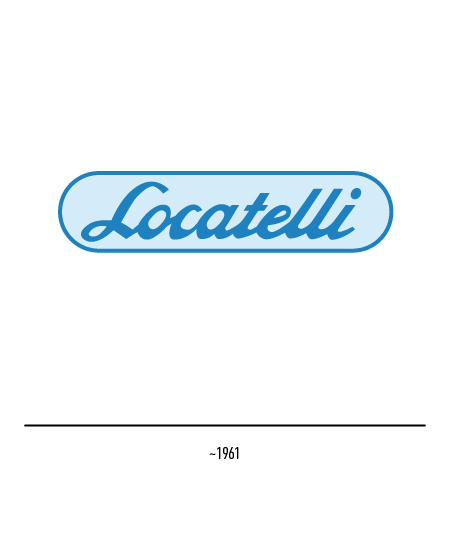 In Italy's boom years in the sixties its trade-mark was given by its name in upper case lettering set inside a red figure. Ten years later Gio Rossi merely set the name inside an oval. 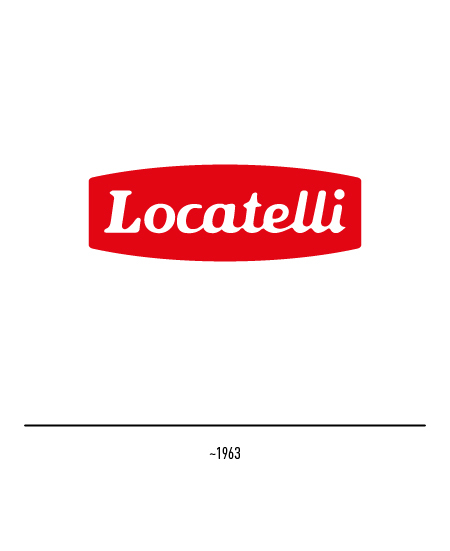 In a restyling by the same designer in 1982, the name, now in the positive, was displayed encircled by a cockade as a deserving sign of distinction, and in 1985 it was made all in red. 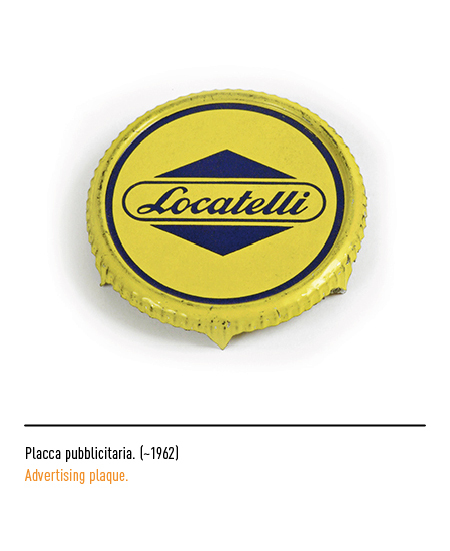 As a subsidiary of the French multinational corporation Lactalis, the firm undertook a far-reaching communications campaign as part of which trade-mark restyling and packaging design played an important role. 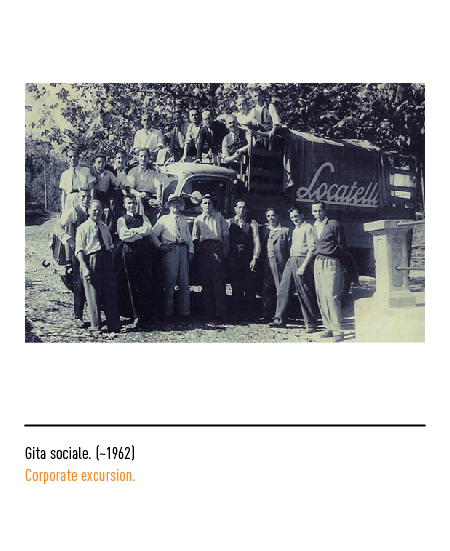 The firm Gio Rossi Associati was commissioned for the job in 1999 and thanks to the lettering adopted the result is a modern and clearly distinctly legible trade mark. 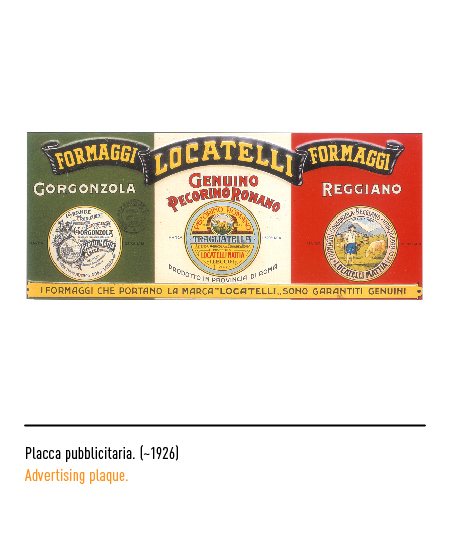 The colours chosen (red, white, and green) unmistakeably underscore the Italian appellation of the products to which it is affixed. 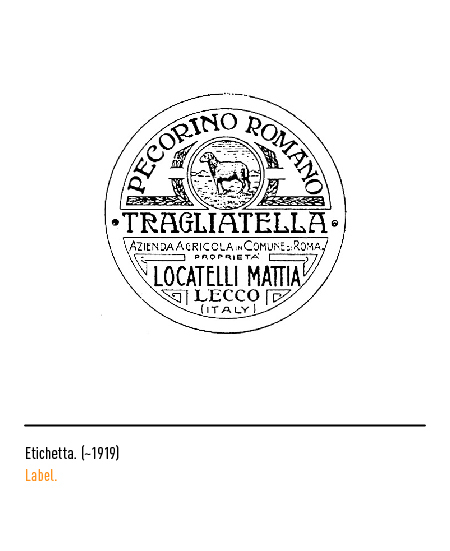 The cockade attesting to the awards granted the firm's products thanks to their intrinsic quality has been recently updated and given a more dynamic appearance. Virginio Briatore, RESTYLING, Castelvecchi, Roma, 2000.